The CEO of Soldier On Mat Jones welcomed Emily Frizell and Adam Frizell to Soldier On HQ this morning for the official signing of the Pledge by AeroPM Pty Ltd. Soldier On is excited to welcome AeroPM Pty Ltd as a Pledge company as part of the Soldier On Pathways Program. The Pledge is a free and non-binding agreement to support Australian veterans and their families, by offering a “Hand up not a hand out”. 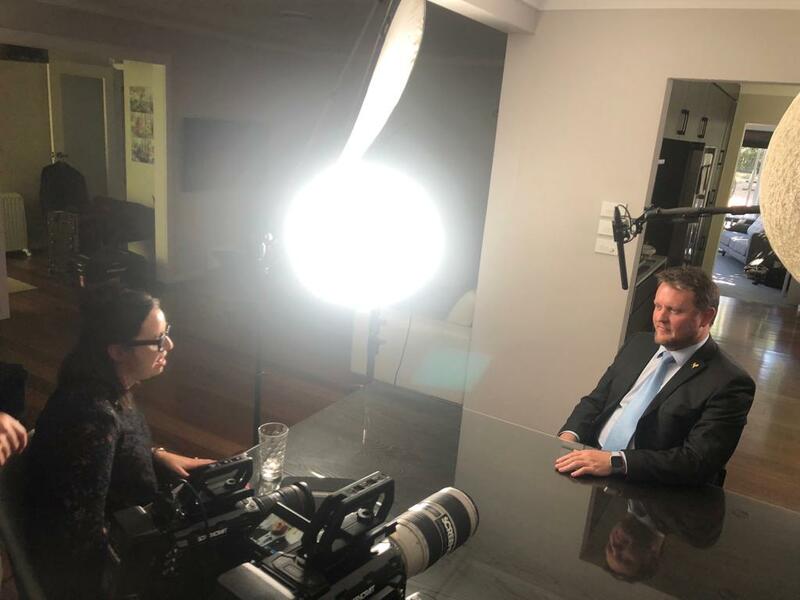 The Pledge is part of the Pathways Program, which forms a channel by which veterans and families can identify supportive organisations who are committed to understanding the huge skills, talent, and abilities of those who have served Australia. On the back of our one year anniversary and successfully finishing as a finalist for the Prime Ministers Veterans Awards Program for 2019, AeroPM has successfully secured its first international consulting role today in the USA. Whilst specifics of the role and the individual lucky enough to be posted to the USA are not currently available for release, this event signifies a high milestone for AeroPM in achieving progress against our strategic plan. This month marks out first two employees reaching their one year anniversary with AeroPM. Following our decision to grow the company on the back of successfully bidding to be a member of the Defence Support Services (DSS) Panel, we took on our first two employees being Andrew Calderazzo and Nigel Curry. The CEO and GM would like to personally thanks these two gentlemen for showing faith in AeroPM at its infancy and sticking through our rapid growth over the last 12 months. AeroPM is very proud of the number of its employees that have significantly contributed to the development off the Peregrine capability over a number of years now. Minister Pyne made the announcement alongside Minister Reynolds, and said the acquisition of the Peregrine aircraft, originally identified as part of the 2016 Defence White Paper and the 2017 Integrated Investment Plan would "enable Defence to actively strengthen electronic warfare support to naval, air and land forces for operations in complex electromagnetic environments". 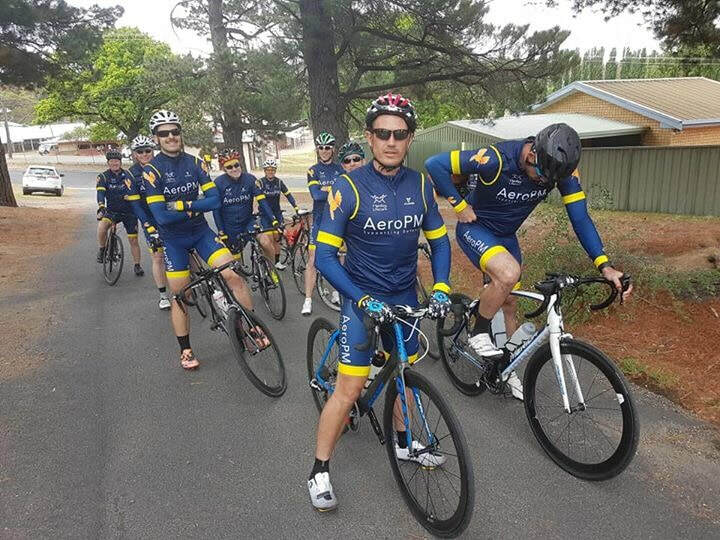 Coming off the back of finishing in the top 3 for the 2019 Prime Ministers Veterans Awards Program, AeroPM has been announced as a 2019 Australian Small Business Champion finalist in two categories being 'Business Growth' and 'Professional Services'. Again, it is an honour to be recognised as a finalist in a national awards program, which reaffirms the significant work that goes on behind the scenes at AeroPM. The awards night is being held at the Star Event Centre in Sydney on Saturday 6th April 2019. Engaging a geographically distant workforce to align corporate culture presents significant challenges that a leadership team must innovatively address to achieve the desired results. This is important as outside of the Executive Management Team, all AeroPM employees work off-site within the clients facilities to meet the immediate outcomes of the client. To add further challenges, AeroPM employs a mixed-engagement workforce model comprising of permanent, casual and sub-contractors with out aim to ensure that the whole workforce presents a standardised approach to company behaviours and client engagement. Over the course of the last 12 months, AeroPM has established a battle rhythm comprising of a number of activities to address the aforementioned challenges with the premier cultural alignment event being the quarterly Company Rally. Each Rally brings the entire team from around Australia together in Canberra to develop team cohesion, discuss recent events and activities, present the forthcoming business strategy and growth initiatives, and conduct training opportunities. The first AeroPM Company Rally for 2016 was held on completion and approval of the annual business planning activity conducted during the monthly of January. Held in the Mosaic Room of Hotel Hotel, 23 participants were engaged throughout the afternoon in an interactive discussion into the AeroPM strategy planning process framework, goal setting and initiative development, as well as opportunities for the entire team to present their thoughts towards shaping the future of AeroPM. Newcomers to the AeroPM team were also introduced to the operations 'machine' that keeps AeroPM at the forefront of the Defence SME industry, recently recognised as finalists in the PMs Veterans Awards Program and The Australian Small Business Champion Awards with the key message echoing throughout each session relating back to customer focussed consultant behaviours and brand awareness - both a cornerstone of the AeroPM growth success strategy of 2018. 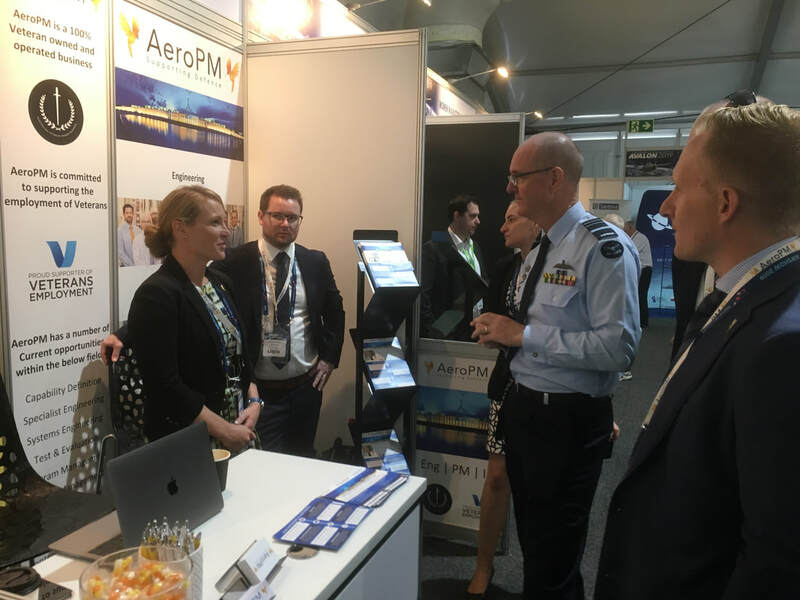 AeroPM entered its first ever trade-show unknowing of what to expect as an exhibitor or how we would be measured as a new and growing SME in Defence Industry. Figures from the previous Avalon Airshow recorded a staggering 169,000+ trade / military visitations and 600+ exhibitors from 22 countries. A constant and streaming procession of interest confronted the six-person strong contingent from AeroPM from the morning of Monday 24 Feb through to the afternoon of Sat 02 Mar, surpassing the expectations of all who attended. The carefully prepared stand rotation roster was thrown out the window almost immediately, which meant that there was little down-time for the team between 0900h and 1800h as a result of the interest in the AeroPM brand, and very little opportunity for plane-spotting activities. Throughout the week there was a strong cross-section of visitation from Defence leaders and fellow Defence Industry companies, with the occasional interest from individuals seeking to discuss future career opportunities. The team thoroughly enjoyed the theatre of delivering and fine-tuning our pre-rehearsed elevator pitches as well as both creating new relationships and building on relationships previously struck. 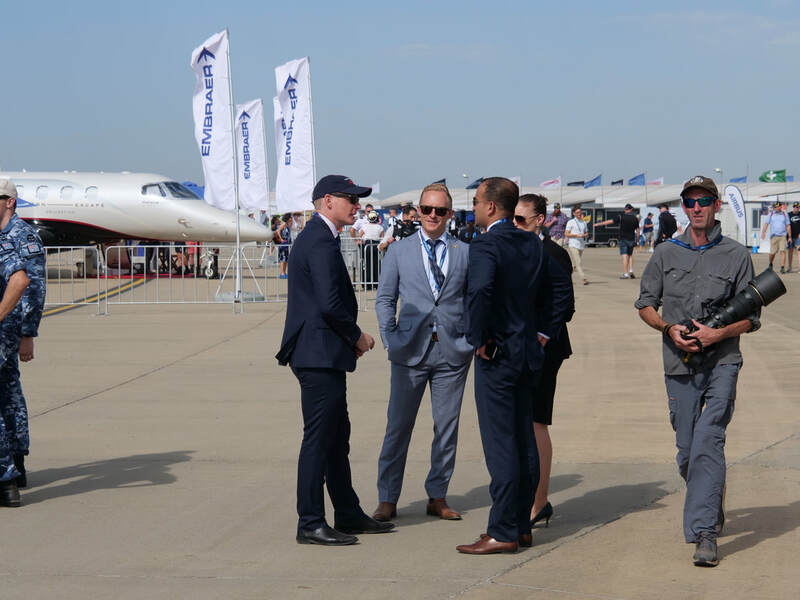 All-in-all, the consensus from the AeroPM team was that the 2019Avalon Airshow was successful in achieving the objective that we set to "promote brand awareness" and we are excited to say that there were a number of tangible outcomes that will be announced by AeroPM in the coming days. Finally, on Friday afternoon the team were let loose onto the tarmac for some plane-spotting! In less than 12 months, AeroPM has strategically grown from a single employee - its founder and CEO Emily Frizell - to 20+ highly skilled and dedicated professionals. Whilst our target market is supporting acquisition projects across all three domains (Air, Sea and Land) within CASG, AeroPM has spread its wings within recent months to also support projects within Air Force Headquarters, Army Headquarters and Air Command. 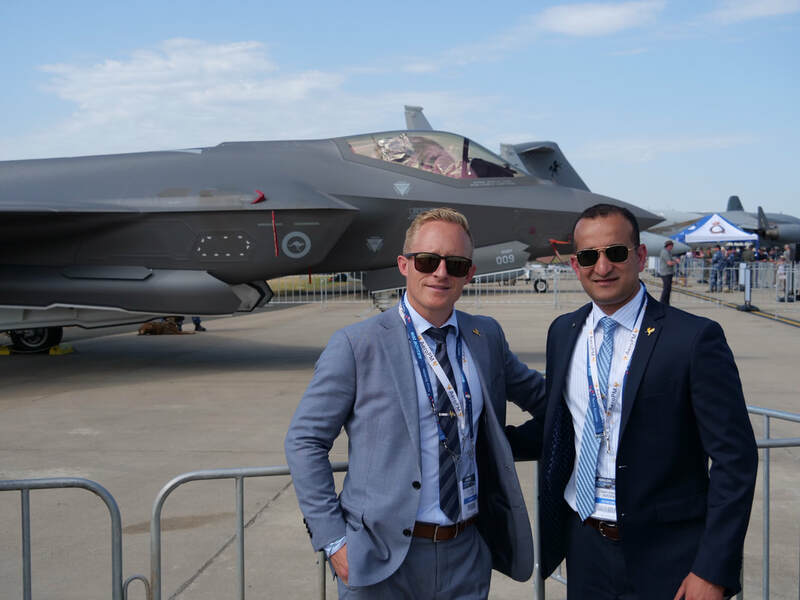 As a result of our experience at the 2018 Avalon Airshow, the future is looking extremely bright for AeroPM. 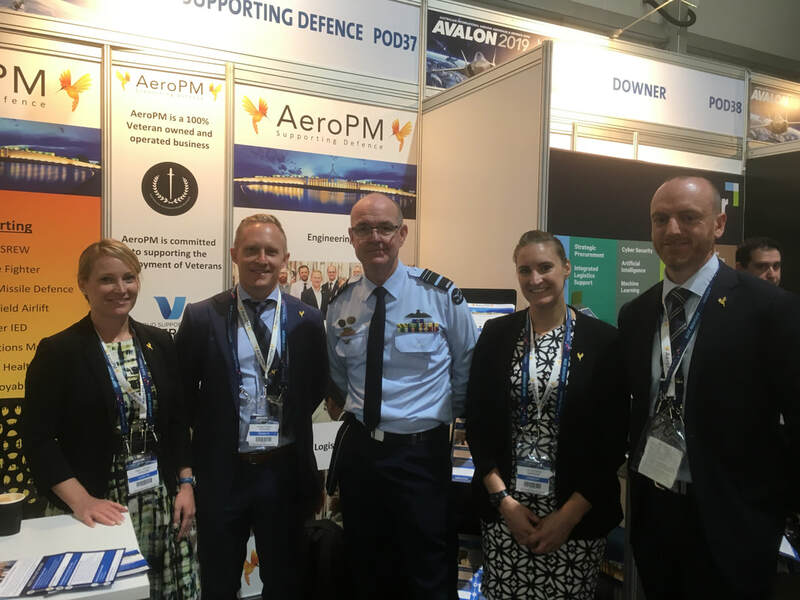 Thanks to the dedicated team within AeroPM who supported the push down to Avalon, thanks to the professionals within AeroPM who consistently provide quality outcomes to Defence on a daily basis, and thanks to all of those who visited our stand at the Airshow. AeroPM has been named as the finalists in the Prime Minister's Veterans' Employment Awards highlighting the innovative ways we are attracting, recruiting and retaining veterans. The awards recognise and celebrates Australian organisations that support the successful transition of veterans into civilian careers and appreciate the value veterans bring to business. Congratulations to the other two finalists in the Small Business category 'Emergency Australia Pty Ltd' and 'Veterans in Construction'. 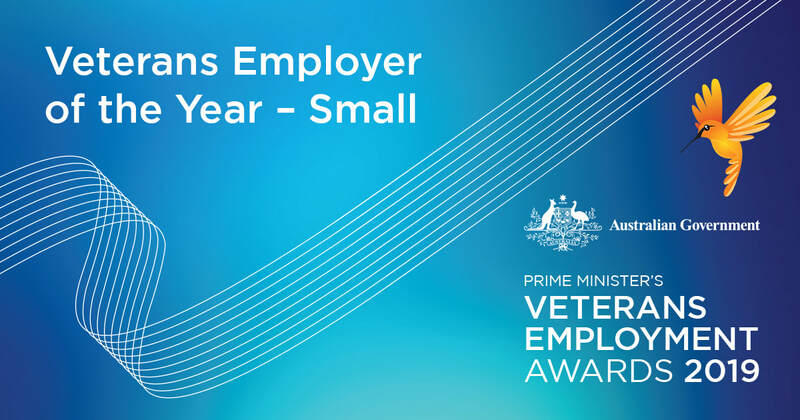 https://veteransemployment.gov.au/awards-finalists. The awards night will be held on 05 March at Parliament House and the AeroPM team is looking forward to sharing the night with all the other exceptional organisations. A new year signals a new start for AeroPM with Liz O'Toole coming on board as our very first Operations Manager. Liz comes with a wealth of experience within the Defence sector and her knowledge and networks within this domain will no doubt make her very successful within Defence Industry at AeroPM. Having reached 20 employees late last year, the CEO, Emily Frizell is very excited to welcome Liz to AeroPM as we grow and transform the company out of the start-up phase and into maturity. 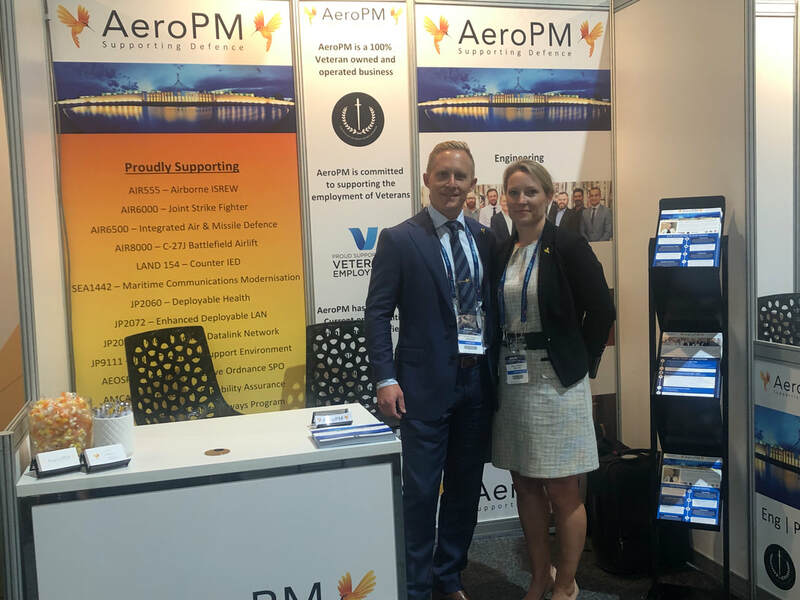 AeroPM's executive and functional leads in project management, engineering and ILS will be attending the 2019 Avalon Airshow from 26 Feb through to 03 Mar inclusive. You can find us in Exhibition Hall 3 near the Defence stand. The team will be available to discuss our current work as well as future opportunities for supporting projects within Defence and Space. Additionally, AeroPM is currently hiring and we will have personnel available to discuss current and future opportunities around Australia. 29 Nov 18 - AeroPM reaches 20 employees in 8 months! A big thank you to all the members in our team - we could not have achieved this without you and we can't wait to celebrate with you all at the AeroPM X-mas party on the weekend! An AeroPM team will be participating in the Hartley Lifecare cycle challenge from Friday 23rd to Monday 26th of November 2018. The challenge involves riding 450km from Canberra to Mount Kosciusko and back over three days. Hartley Lifecare provides accommodation, respite care and community programs for children, adults and their families in the ACT and region with physical and complex disabilities. Donations can be provided through the AeroPM sponsorship page to Hartley Lifecare at the link: https://www.hartley.org.au/fundraisers/Defence. 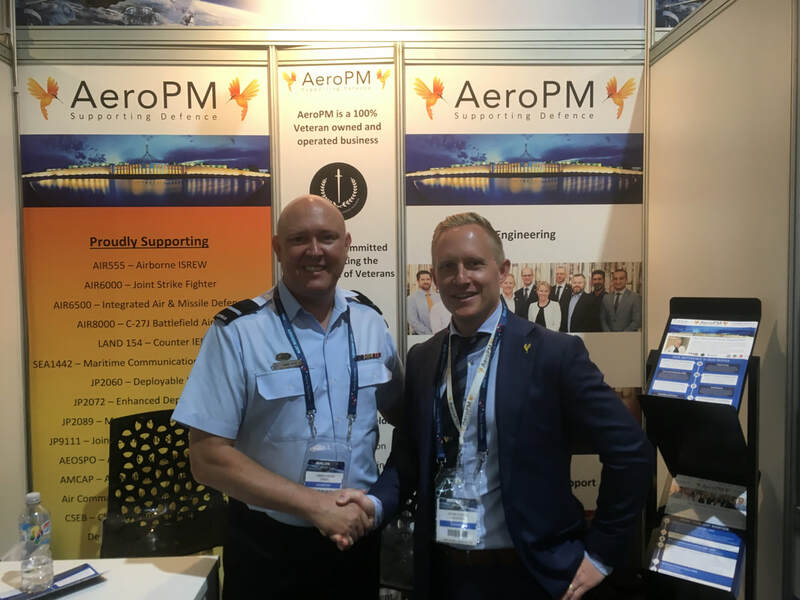 September and October of 2018 was a very productive recruiting month for AeroPM as we expanded our skill sets to include a Qualified Test Pilot, Aeronautical Engineer and ex-CO ARDU in Mark Walmsley, a PR and Comms specialist with previous Defence recruiting experience in Tim Bowden, a couple of outstanding logisticians from within the public service and Defence in Tim Webster and Mauricio Bassaletti, as well as an experience Program and Project Specialist in Steve Blacker. Not only is AeroPM growing, but AeroPM is growing with the foremost experts in their fields within Defence. Welcome to the team Mark, Tim, Tim, Mauricio and Steve! 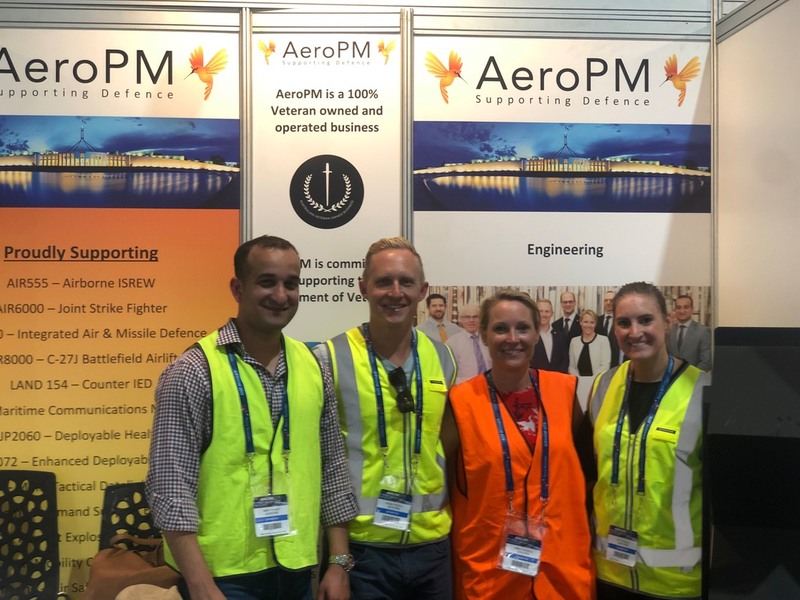 The CEO, Emily Frizell is excited to announce that Aero PM has been shortlisted for the prestigious Optus My Business Awards (Defence Sector) and is in the running to take out one of Australia's longest-standing business awards program. The Optus My Business Awards, which covers 28 categories, acknowledges best practice within a particular industry sector, as well as individual business leaders, excellence in customer service and achievements in innovation, corporate social responsibility and workplace culture. Winners from company related categories will be shortlisted for the highly coveted Business of the Year Award. The General Manager of AeroPM Mr Adam Frizell (pictured right) was today confirmed as both a Fellow and an Engineering Executive (EngExec) of Engineers Australia. The ceremony was held at the Canberra Royal Golf Club in Yarralumla with the presentations being made by the Deputy President of the Canberra Division of Engineers Australia, Mr Kevin Earle (pictured left). Adam was first confirmed as a Chartered Professional Engineer (CPEng) through Engineers Australia in 2006 and has worked towards achievement of EngExec in recent times. The confirmation of EngExec comes with a post-nominal that immediately communicates the well-earned prestige of those leading at the highest tier of their industry. It builds on the respect and recognition accorded to the Chartered post-nominal CPEng. Further, as a Fellow of Engineers Australia Adam is now recognised as being amongst the true leaders of the industry and profession. As with EngExec, Fellow also comes with a post-nominal. Aero PM is pleased to announce it's 10th employee, Daniel Barrett. Aero PMs controlled and considered expansion has not compromised quality whilst exceeding our planned strategic growth objectives. Dan will be closely followed by our 11th employee scheduled for engagement on the last day of the month. In line with its growth strategy, AeroPM will shortly be adjusting its business structure to include an Executive Leadership Team and business support personnel. 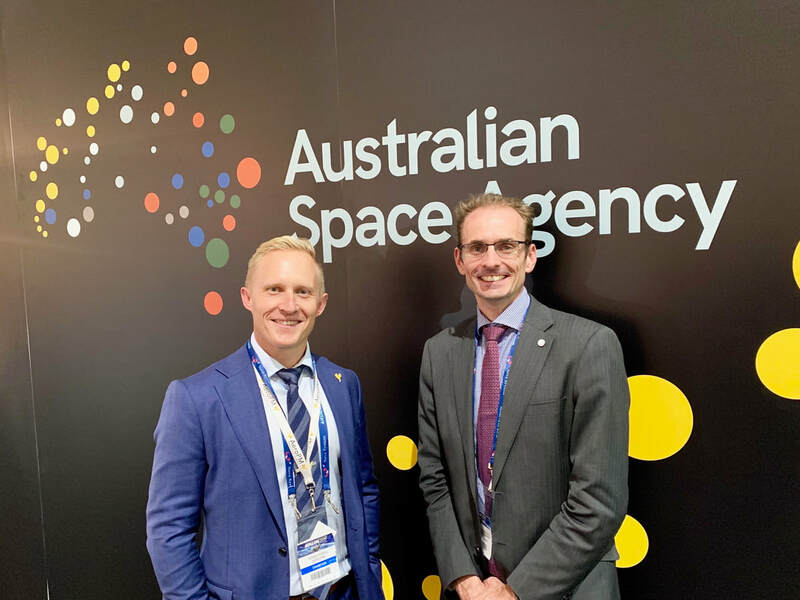 The future in Australian aerospace is extremely exciting, filled with innovation initiatives, Australian Industry Capability initiatives in Defence, and most recently the introduction of the Australian Space Agency here in Canberra. The CEO of AeroPM Emily Frizell presented at the Aerospace Futures Conference recently echoing these sentiments. In her role as board member of the Canberra Division on Engineers Australia, the CEO of AeroPM Emily Frizell discusses her time as an Aerospace Engineer in the Royal Australian Air Force, her transition to a civilian within Defence Industry and establishing AeroPM from the ground up. Emily's passion and drive is a true inspiration for all engineers in the community. 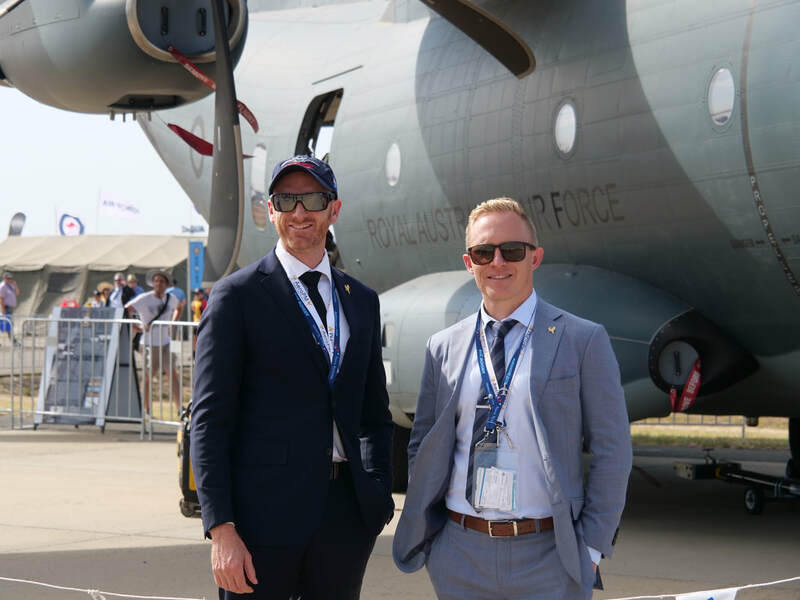 Following a 20 year career as an Aerospace Engineer and Project Manager within the Royal Australian Air Force, AeroPM welcomes Adam Frizell as the inaugural General Manager. AeroPM CEO Emily Frizell is excited to have Adam Frizell on board to assist her with the rapid growth AeroPM is experiencing due to their unique approach to market. Throughout his time within the Air Force, Adam has grown an extensive network and managed a number of significant acquisition programs including the delivery of the AP-3C(EW) and the P-8A Poseidon, as well as establishing the acquisition strategy and government approval of the MC-55A capability and replacement VIP SPA capability. CEO Emily Frizell is excited to announce the on-boarding of Marc Loxton as the fifth AeroPM employee. In a statement from Emily she comments "Interest in joining AeroPM has been non-stop since we identified that we would be hiring. Our plan is to on-board 10 employees by the end of Jun 18 and we seem to be well on our way!'. AeroPMs rapid growth can be contributed to its market differentiation in relation to employee engagement and culture within the company. As of 20 Apr 2018, AeroPM can be directly engaged by CASG programs and projects directly through the CASG Defence Support Services Panel. This is a big milestone for AeroPM and will (hopefully) but he catalyst for rapid growth within Defence Industry. With the announcement of the CASG Defence Support Services Panel, AeroPM Canberra engaged directly through the panel or through its partner MSPs. Please contact us if you have questions regarding how to engage AeroPM. A big congratulations to Andrew Calderazzo for becoming AeroPMs first employee! CEO Emily Frizell thanks Andrew Calderazzo for taking the plunge and leaving his role in the Navy where he has spent most of his career. Emily welcomes Andrew as the first of many (hopefully) AeroPM employees! Andrew left a long-term role within the Airworthiness Coordination Policy and Planning Directorate where he was responsible for managing big data that flowed out of each ADF platforms Airworthiness Systems.